Harriet Tubman Day is an annual holiday celebrated in the United States on March 10. 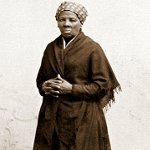 It was created to honor Harriet Tubman, a famous anti-slavery activist, humanitarian and an armed scout and spy for the US Army during the American Civil War. Harriet Tubman (born Araminta Ross) was born circa 1822 to slave parents. Around 1844, she married John Tubman, a free black man and changed her first name to Harriet some time after that. Their union was complicated because of the legal doctrine known as partus sequitur ventrem that meant that any children born to Harriet and John would be slaves. Harriet suggested that they escape to the North but John refused. Tubman escaped from slavery with her brothers, Henry and Ben, in 1849. Following her escape, she joined the abolitionist movement and helped transport fugitive slaves to the North and Canada as a conductor on the Underground Railroad. In honor of her efforts to rescue blacks from slavery, she was nicknamed Moses. When the American Civil War broke out in 1961, Tubman joined the United States Army. She served as a soldier, nurse, spy and scout and tended to newly liberated slaves. In her later years, she worked to promote the cause of women’s suffrage and toured the country to speak out in favor of women’s voting rights. Harriet Tubman became an American icon and inspired people to struggle for civil rights and equality. In 1990, March 10 (her death anniversary since her birth date is unknown) was officially declared Harriet Tubman Day to honor her accomplishments and legacy.